Dawn asks: All my ideas exit my brain when I sit down to write. What can I do? Dawn asks: How can we tell if we’re overdoing it on the pronouns? 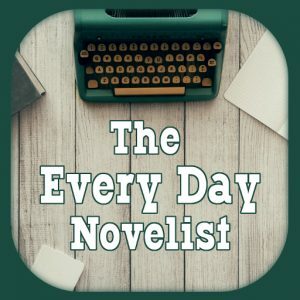 Ian asks: What’s your ideal writing process? other authors in my genre? Sarah asks: My magnus opus has general several thousand words of notes and backstory. What do I do? Simon asks: How do you keep count of the books in your oeuvre? Dawn asks: How do I increase my typing speed?